You can be assured that all of LPM’s property maintenance work is carried out to the highest standard. We only use properly accredited tradesmen such as electricians with the relevant NICEIC electrical certification to deliver a high quality service that is both safe and trustworthy. At LPM, we have specialist resources available to deliver projects ranging from residential improvements to commercial refurbishments on time, within budget, and to the required quality standard. 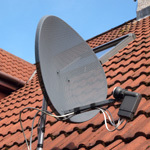 Many block management companies do not allow individual satellite dishes to be placed on the outside of the building but nowadays residents expect to be able to view the many channels available from satellite service providers. We have a solution to this which even specialist TV aerial and satellite installers tend not to offer; we can install a communal satellite system and a central distribution system on each block. Therefore, a single satellite dish per apartment block can provide satellite signals to every flat via cables through the loft and existing wall cavities (subject to survey). We are also able to maintain these systems in case of faults or drops in signal quality. 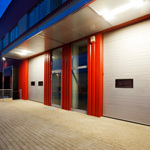 Lighting systems are central to any building in terms of maintaining a safe and usable environment. At LPM, we have years of experience and our highly skilled, qualified electricians are ready to find and fix faults or carry out routine maintenance at your site. This includes the provision, maintenance, and regular testing of emergency lighting in compliance with British Standard BS EN5266. We are also experienced in replacing old lighting systems with modern and extremely energy-efficient LED systems (LEDs use up to 90% less power than incandescent bulbs). This lower power consumption leads to a dramatic decrease in energy costs for our clients and further savings may be realised on maintenance and replacement costs due to a much longer lifespan on LED bulbs. Please call us if you would like us to calculate your return on investment and generate a business case to install LED systems in place of old lighting systems. 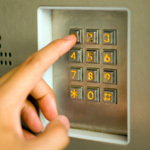 Electronic door entry systems are excellent security measures and found frequently in communal and commercial premises. Correct and routine maintenance is essential however to ensure their functioning and safe operation. When systems aren’t maintained or damaged this often means that they have to be deactivated which removes the security they provide. Make sure your systems are correctly maintained and fully operational at all times by instructing LPM to carry out scheduled maintenance at your building or if your systems needs immediate attention call us to make necessary repairs. Please call us on 01933 678722 if you have problems with your lighting systems or if you would just like to arrange regular quality checks and one of our friendly team will be able to discuss the best options for you. Alternatively, please fill in our online contact form and one of our team will address your query promptly.